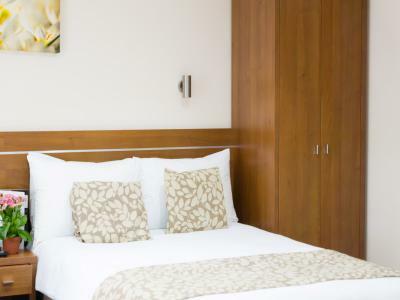 Our rooms feature Dark wood finishing, neutral colours and ensuite facilities. •	Two double beds or one double and two single beds. 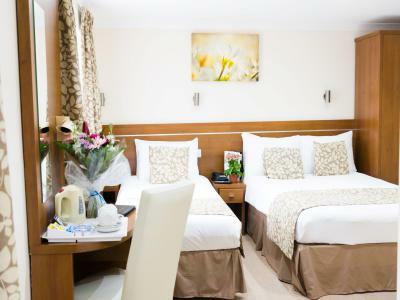 Our rooms are perfectly suited to guests looking for that additional comfort combined with high standards of service and hospitality, all at competitive rates. 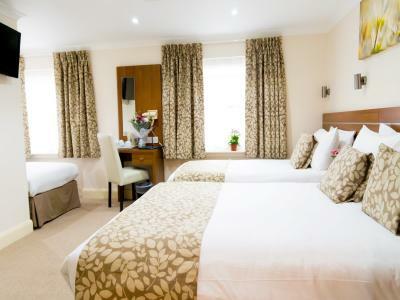 Our Double rooms are equipped with a 4ft, 6 inch double bed and have a maximum occupancy of 2 persons. 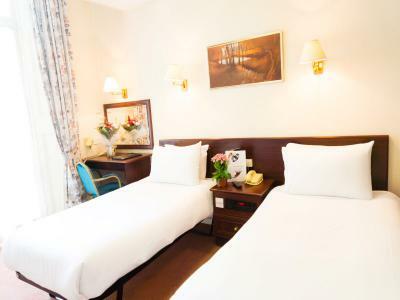 Our Twin rooms are equipped with two 3ft twin beds and have a maximum occupancy of 2 persons. 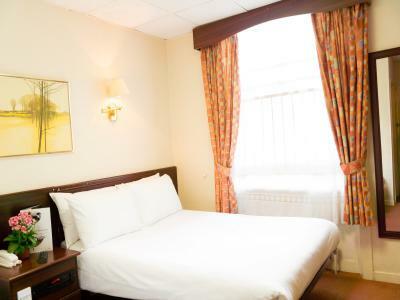 Our Triple rooms are equipped with either; one double (4ft, 6 inch bed) plus a single (3ft twin bed) or three single (3ft) twin beds. You may select your preference, subject to availability. 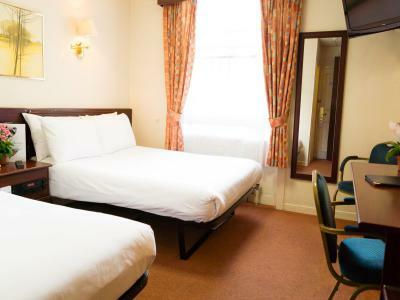 All our triple rooms have a maximum occupancy of 3 persons . Our Quadruple rooms are equipped with either; Two double (4ft, 6 inch bed) or One Double (4ft, 6 inch bed) and Two single (3ft) twin beds. You may select your preference, subject to availability.